Thoughts, reflections & comments from a motivated learner, educator and instructional leader! The common threads are immediately visible - learning is about a change in behaviors; learning is about experiences and subsequent changes. Learning is a process or journey that a person embarks on that then impacts their thinking, actions or opinions moving forward. Learning is about a permanent change in a person. Learning is about being informed and doing things differently because of what was learned. Learning is about social interactions. Learning is about living and changing over time. Here is an #edutruth... Learning is not passive or easy. In fact, learning is a lot of work - a lot of hard work that has pushed me to the point of discomfort. Alison Eyring, CEO of Organisational Solutions, developed a powerful analogy between learning and an oyster when she said, “The challenge of learning by experience is like sand in the oyster; it’s irritating and uncomfortable at the time, but you can end up with a beautiful pearl.” What an amazing analogy that I have found to often be true - learning isn’t mindless or uncomplicated or momentary; instead, learning is a time consuming journey that can be irritating or uncomfortable, both literally and figuratively, because the end result will be change. 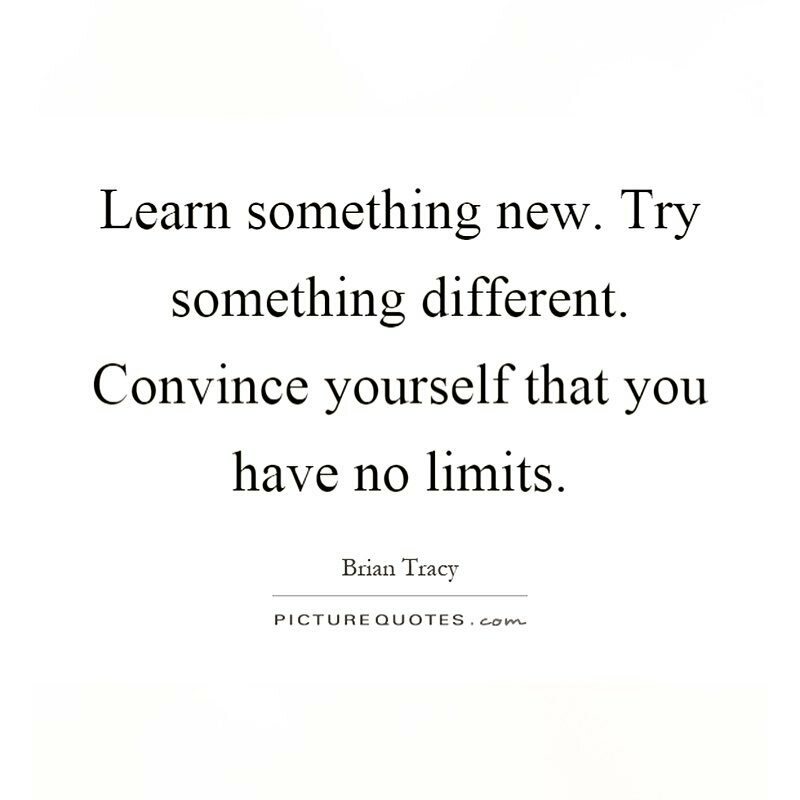 Learning starts with trying something for the first time, sticking with it and changing as a result! Learning pushes us to grow; learning forces us to change; and learning challenges us to see the world through a different lens. Learn something new alongside your students. In my last year as a building principal, I joined the fourth grade orchestra and fulfilled my dream of learning how to play the violin. While I won't be touring with an orchestra any time soon, performing in the fourth grade concert at the end of that school year (with my parents in the audience) was an incredible experience I shared with my students and fellow learners! Actively engage in professional learning opportunities with your teachers. Too many times in my career I have seen leaders in their offices during PD days and I am not sure what message that sends but if we think the PD is a priority for teachers, then it should be a priority for leaders! Be transparent with your learning journey when you are trying something for the first time because that can inspire someone around you. Whether it is a new tech tool you're trying or attempting a new instructional strategy or taking a graduate course, share the experience with your colleagues and students because modeling being a learner is critical to the sustainability of our work! 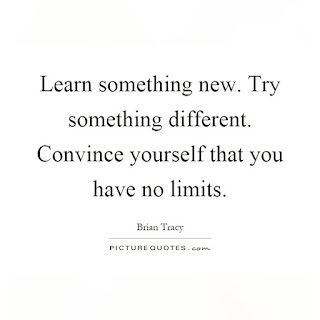 Try something new and tell the people around you about the experience! When I started walking/running last year, I shared my experience on social media as a way to document my journey for me. What ended up happening was getting loads of encouragement from family and friends, which has served as an inspiration for me to keep walking/running. So share your experience when you try something for the first time because that might be the difference between a one day event and a permanent change! Share your book love with students by "book talking" the new books you've recently finished. 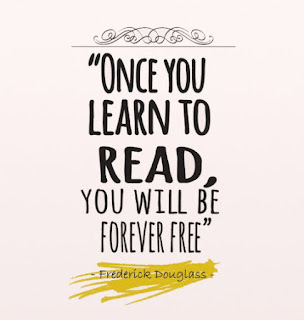 Readers are thinkers and thinkers are learners so share your reading journey with students! There is something so interesting and exciting about listening to someone you respect/look up to/learn from share their recent experience related to a new book... that always makes me want to run out to buy that book and read it ASAP! These are just some of my ideas for this week's Leadership LEAP; please feel free to add ideas by leaving a comment below. And to all my colleagues, thank you for making a difference in the lives of children... your super powers don't go unnoticed! How many of us have seen this quote? 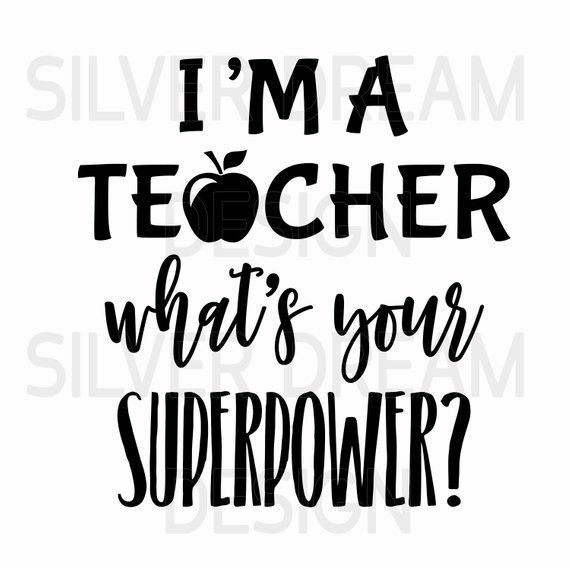 I am sure all my edu friends would agree that this quote is 100% true… educators are superheroes because we are impacting the lives of students and literally shaping the future of our world. From creating engaging learning opportunities to building positive relationships to inspiring those around us, it takes superpowers to do that work each and every day with one main goal… positively impacting the lives of our students! When I think about superheroes, the first one that comes to mind is Superman. I don’t know if it was the fact that he could fly or that he had X-Ray vision, but he was always my favorite superhero; after all, Superman is able to LEAP tall buildings in a single bound. This whole notion of LEAPing got me thinking about the work that we do (educators, teachers, leaders, etc.) each day. No two days are ever alike because of the unexpected adventures that cause us to LEAP from one situation to the next. Whether we are handling a sensitive student issue or working with a colleague to plan a lesson it seems that we are always working towards nurturing a positive culture in our spaces, building the relationships that matter and creating the conditions for meaningful learning experiences. This is what we do... we LEAP to promote positivity; we LEAP to remove barriers for our students, staff & families; we LEAP like superheroes each and every day! Call a parent to share something positive their child did that day (make it specific) because can be a powerful way to build relationships with our most critical partners in this work... our families! Have lunch with a group of kids; just sit back, relax and spend some time with your kids in this different setting. I have always found the most interesting (and often hysterical) conversations unfold when lunching with kids! Send a note to the family of a staff member thanking them for sharing that staff member with your school community. 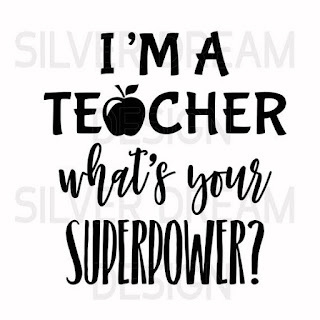 Educators spend more time in school than they do at home so let's thank them and their families for this important sacrifice... after all, Superhero-ing isn't easy work! Send an email to a colleague complimenting them on something you observed or saw in their classroom or in their daily practice. Our relationships between colleagues are critical to our success as a profession! At some point during my time as principal at Cantiague, I stopped calling myself the principal and instead referred to myself as a lead learner. The term, which I was introduced to on social media (thank you Joe Mazza) and learned more about from Michael Fullan, resonated with me because I always felt the most central part of my work was being a learner first. 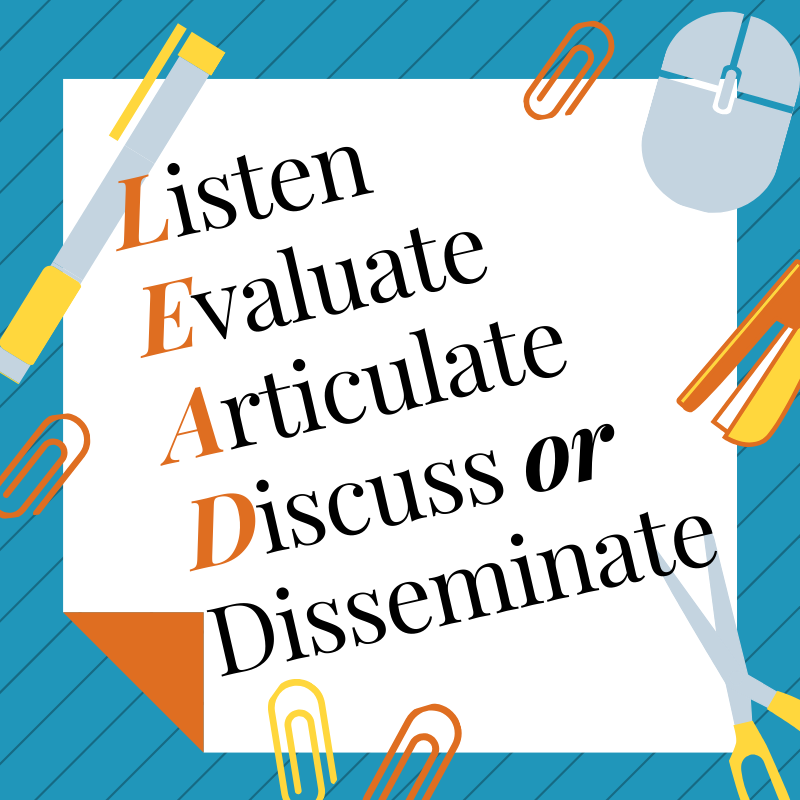 As my journey as a lead learner unfolded at Cantiague, I realized that one of the most important aspects of my work as a leader, and learner, was being an effective, intentional and thoughtful communicator. In fact, during my last 3 years at Cantiague I made it a mission to be as transparent as possible with all key stakeholders. I started by communicating internally with our staff through the Friday Focus newsletter (here is an example of that newsletter), where I shared great things happening in our space, provided access to resources beyond our space and offered a review of general odds and ends. Then I started communicating with our students & families using email, social media and video (here is an example of our weekly video update - Cantiague Video Update) to spotlight our students and engage our families in a different kind of way. Even during my short time as a superintendent I blogged throughout the year to engage the community; again, in an effort to be transparent. In fact, transparency has been a goal of mine ever since I did my dissertation research in 2012 when I began to really understand the connections between transparency, relational trust and the development of social capital. In order to be a successful leader one needs social capital, which only comes after one gains the trust of those around them; and one of the keys to building trust is frequent, open and honest communication... transparency. This is what shifted my practice as a principal; I began communicating with greater frequency, across multiple platforms and with much intentionality. Whether sending a newsletter to faculty and staff, sharing highlights with families or offering feedback to a colleague, open and clear communication has always been my goal. 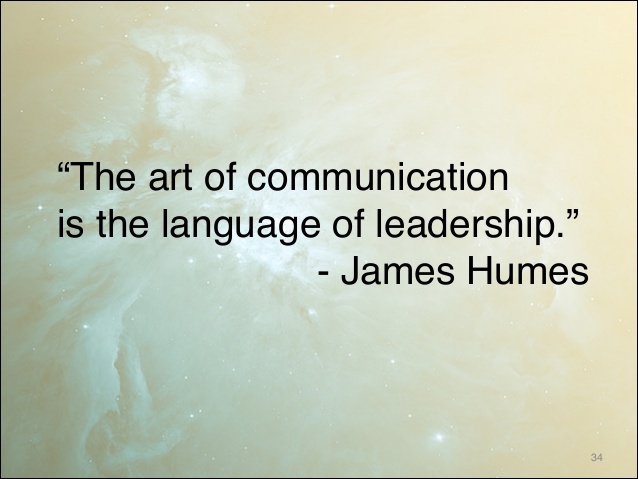 Actually, over the last several years I have prided myself on being a transparent leader by communicating as much as possible (maybe even being over communicative at times). I thought I was doing a good job with communicating until I was recently questioned by a couple of colleagues. We were in the midst of a process in our district and I received an email from a group of colleagues asking some questions and sharing concerns about the process. Fortunately, I was able to answer most of the questions and address a majority of the concerns but what I quickly realized, with their help, was the questions and concerns never would have come up had I done a better job communicating in the first place. This exchange made me pause, reflect and refine my practice. I knew I had to do a better job communicating and sharing information with our staff because without the information, there was confusion, frustration and no trust. This recent situation was a critical reminder about how important transparent communication is to my work as an educational leader. When I reflect on the professional challenges I experienced as a leader (there have been many), or experienced under the leadership of others, more often than not, a communication breakdown was a critical error in the process. Either information wasn't shared in a timely fashion or information wasn't shared at all; and the people within the school or district were left to fill that communication void with rumors, half truths and misinformation. And we all know what happens when rumors start flying... people feel destabilized, unsettled and uncertain about the future; and nothing good comes from feeling unsettled or uncertain. 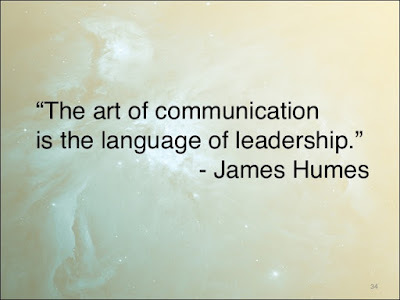 My challenge to my fellow educators, especially those of us in educational leadership positions, is to think about how we communicate from our leadership positions each and every day. Are you engaging the following communication process in an effort to be a lead communicator? To be completely transparent, I am guilty of using each of the following phrases at different points in my career; in fact, a couple of them I used for years. In the end, I realized they never helped me arrive at a solution; instead, these phrases allowed me to push the blame for the problem onto someone or something else (personalizing an issue or problem can be so destructive) and the end result was no improvement for kids or my colleagues or myself. So, I am officially letting go of the following phrases and replacing them with more "solution focused" approaches! The phrase: These kids can't/don't/won't do this because... (replace kids with teacher or parents and it creates the same problem)! The issue with this phrase: Phrases like the one above, which I used at the beginning of my career, only perpetuated a deficit mindset and set such low expectations for my kids, colleagues and myself. Can anyone say self-fulfilling prophecy? I learned early on, when I was teaching in NYC, that my "inner city kids" (as described by those around me) were capable of so much even though I was led to believe I shouldn't expect much from them. Well, guess what? That year my kids read Shakespeare, did high school math and wrote their own books! The truth is, that only happened because a colleague suggested that I push and support my students because they could accomplish anything if I believed in them. This experience taught me to focus on the strengths of my students, colleagues and families and build on those because that is how we grow and improve. None of our kids wants to fail; none of our teachers want to be unsuccessful; and none of our families want to disengage. No! My job is to set high expectations/goals and offer the necessary scaffolds to achieve those goals. Whether an academic goal for students or a professional learning opportunity for educators, I need to understand everyone's readiness level and provide them an entry point for learning and engagement! Instead, now I use... "This child's strength is..." OR "This teacher's passion is..." OR "This family member can engage in these ways..."
The phrase: There is just too much to do and not enough time to do it! The issue with the phrase: Yes, there is a lot to do but our task is to figure out what we can let go of when we are adding something new that we believe to be in the best interest of our students and staff. As a building leader I learned quickly to be mindful of "initiative overload"; in fact, my job as a building principal was to ensure that we were not overburdening and taxing our teachers with "just one more thing" to squeeze into the day. My work as a building leader was to collaborate with students, staff and families to identify the experiences/skills we determined to be essential for our students and focus on those initiatives and goals. For example, at Cantiague, after we embraced writing workshop as the way to help students grow and develop as authors, there was no longer room in the schedule for Daily Oral Language, which was a resource some educators used to teach grammar, vocabulary, etc. So, Daily Oral Language needed to be "weeded out" to make room for the workshop model (which has decades of research to support its effectiveness). When I was a teacher, I also learned that I had to work like a thoughtful and intentional gardener who can step back and determine what needs to be "weeded out" to make room for something new and hopefully better. This is the work I had to engage in so I could "weed out" unnecessary practices/activities/routines to make room for something that had been identified as better for my students. Yes, certain practices are sacred because of their effectiveness but I also know when to let go and weed our garden! Instead, now I use... "Ok, so we have determined that this new practice/resource/approach will help enhance the learning experiences of our students; what can we let go of in our schedule to give our students this new opportunity?" The phrase: Our focus as educators has to be on content, not pedagogy! The issue with the phrase: WOW! REALLY?!? Yup, I did use this phrase at some point in my career and have subsequently heard it several times in different settings. While I understand that educators need to be masters of their content, the pedagogy is critical to the delivery of the content and the learning experiences of our students. Sound and effective pedagogical practice can be the difference between learning that is only reflected in a test score (a moment in time or a destination) versus changing the way a student sees the world (forever or a journey)! After engaging in many powerful professional learning opportunities as a teacher in NYC, I came to believe that pedagogy trumps content every single day. Instead, now I use... "How can we provide our educators with meaningful professional learning opportunities that will not only support them professionally, but will also compliment content mastery while resonating on a personal level?" The phrase: Staff morale is low/down! Yes, maintaining a positive culture and morale are critical to the success of any learning organization and that maintenance is the responsibility of everyone in the organization. For that reason, if there is a negative vibe spreading throughout a school or district, I pause and try to identify the specific issue or people affected and work from that place instead of generalizing it and using low staff morale as a way to avoid the issue at hand. Instead, now I use... "It seems that some people are feeling stressed (overwhelmed/ frustrated/ disappointed/ etc.) because of ___________ so let's brainstorm some ways we can acknowledge the problem, support everyone at this point and continue to move forward." The phrase: What reading level is this child? The issue with this phrase: Oh gosh, I used this phrase so many times and I am not proud of it. It was so easy to talk about kids as levels because it allowed us to focus on data points instead of really thinking about the reader. What I slowly came to realize (thanks to the talented members of my PLN) is that kids are not levels; yes, we can level books to support some of our work during guided reading or to help match a student to a book where they might be able to practice specific strategies or skills but we should not be leveling kids. Kids are readers, not levels. Kids grow and evolve as readers; levels are fixed. Kids have specific interests and we should tap into those to support their growth as readers, not just force them to read books at specific levels. My goal eventually became nurturing and supporting the readers who walked into our classrooms each day; not to assign them a level and lead them to believe that is who they are as a reader. Nope - kids are not levels; kids are brilliant readers and thinkers and my job is to give them access to books that will inspire them, excite them, engage them and allow them to see the world in a different way! Instead, now I use... "How can we enhance our classroom libraries to better support our readers?" OR "How can we better support this specific reader based on his/her interests and strengths?" These are just five of the phrases I am letting go as I continue to learn and grow. There are dozens more that I have already let go of and others that I will likely let go in the future. Are there any phrases you want to let go of moving forward? Join me and LET IT GO!! This year I turned 44. I am 44 years old and I am proud to say that almost half of my life has been spent in classrooms and schools as an educator. From elementary classroom teacher to assistant principal to principal to assistant superintendent to superintendent, my entire adult life has been spent working with students, other educators and families in schools. What have I realized after all this time? There really is no better job on the planet because the rewards are plentiful, the passion for learning is inspiring and the joy is infectious. Is it all sunshine and roses all of the time? Certainly not. Is it easy and fun all of the time? Definitely not. But, is it the most important work that will have the greatest impact on the future of our planet? YES! Does the joy outweigh the negativity? YES! Working in education is all that and a bag a chips (yes, I know I am dating myself but you get the idea). I love what I do and I am fortunate to have a "job" that rarely feels like work! 1) Relationships - educators are becoming more and more focused on the importance of relationships in education. Relationships between students and educators; educators and educators; and the institution and the broader community. Relationships are a game changer and more and more educators are being intentional about nurturing relationships that are rooted in trust and respect! 2) High EQ - we are starting to understand the importance of the "soft skills" both in our profession and beyond! Yes, IQ matters too but I am seeing a greater emphasis in our schools on the social and emotional development of our students and educators. 3) Picture Books - more and more educators outside of elementary schools are realizing and harnessing the power of picture books in the learning process! Picture books aren't just for little kids and I am seeing them included in middle and high school classrooms. The great thing about picture books (aside from the amazing illustrations) is that are an equalizer because all learners can access them and the messages are relevant, powerful and meaningful to our students. 4) Diverse Literature - I love that I am seeing more and more schools expand the syllabus beyond the classics and standards to include fiction pieces that feature more diverse characters including characters of color, female characters and LGBTQ characters just to name a few. Educators understand that there literature needs to provide windows (understand others) and mirrors (see themselves) for our students. These diverse texts also help in our efforts to eradicate existing social constructs and systems that are oppressive! 5) Relevant Literature - Diversity in literature is not enough; Jason Reynolds reminds us that kids need to see their world in books too! Whether in the form of characters or in the setting, our students need to be able to see life unfold in the way they are experiencing it. 6) Student Choice - I am seeing more and more educators give students choice in their learning experiences as a way to empower students. This is HUGE because if our students have some choices in the learning, they will then take more ownership and the learning will become self-directed, which is our goal! Self-directed learning is sustainable learning... it is the learning that matters to the heart and mind! districts and schools giving educators some choice and control over their own professional learning. The research shows that when professional learning resonates on a personal level (i.e. it is self-directed while anchored in a common goal), it is more likely going to have an impact on students! 8) Leadership - more and more building and district leaders are shifting away from just being managers/administrators; and instead they are leaders who focus on building relationships, removing barriers and promoting learning. Leadership has the greatest singular influence on organizational culture and trajectory! 9) Learners First - more and more educators are modeling being learners first in their daily work. Educators understand that if they want to provide the best education possible for their students then they need to be learning about the latest research and approaches that can inform their practice. Becoming an educator isn't the end of the learning journey; instead, become an educator means the learning accelerates and becomes amplified! 10) We teach kids, not programs - Educators around the globe are pushing back on mandates, high stakes testings and scripted curriculum because they know their primary job is to teach the children before them... not teach a curriculum or program! 11) Assessment Evolution - Educators are making assessment an interactive process with multiple inputs including peer and self assessment. Furthermore, many educators are starting to question the purpose of grades/grading and are seeing assessment as an informative part of the journey and not necessarily the destination. Thank you to Starr Sackstein for blazing a trail in this area! 12) Education isn’t just about academics - It is so great to hear more conversations in our schools focused on the social and emotional well-being of our kids. In many schools, education isn't only about feeding the mind but it is also about feeding the heart & soul! 13) Real life applications in the area of mathematics - I have watched so many amazing educators over the years incorporate the many real life applications of mathematics! From "games" involving the stock market to exposing kids to the links between art and mathematics, math is moving beyond the page and algorithm and starting to matter to kids! 14) Family engagement - Deeply engaged communities, as a result of transparent schools/districts, are becoming more of the norm as opposed to the exception. We are breaking down the fortress walls and partnering with families to do what is in the best interest of children. The research shows that strong home/school connections have a positive impact on learning. Thank you to my brother Joe Sanfelippo for modeling this so well! 15) Every child WILL learn - I have encountered many passionate educators who have dedicated themselves to providing every child an entry point for learning regardless of their readiness level. The conversation is no longer about kids who can learn; instead the focus is on the fact that kids will learn! It sounds like a subtle difference but it is a significant shift in thinking and culture. 16) More hands-on learning opportunities- I love seeing things like Makerspaces, Genius Hour and Engineering courses in our schools because that inherently means an increase in hands-on experiences. The more kids do with their own hands, the deeper we could push the learning! 17) Moving beyond test prep & achievement gaps - Some schools are no longer focusing on closing the achievement gap by raising test scores (research shows no sustainable impact there). Instead the focus is shifting on closing the opportunity gap that exists in our society because of implicit bias, culture incompetence and significant segregation in our schools. 18) Addressing the systemic racism that permeates our schools - Thanks to social media, I see more and more educators engaged in discussions about the oppressive social constructs and systems within our schools (we need many more educators involved but I think the conversation is growing). Many educators are pushing the conversation to go deeper and address the root cause (racism) of many of the problems plaguing our educational system. I am seeing more intentional and explicit education about racism, hate and bias and that is giving me hope! 19) Mental health supports are not a luxury- Yes - we have finally reached a point in education where we no longer view social workers or guidance counselors or school psychologists as a luxury. These supports are necessities in our schools because our kids have suffered so much trauma in the world and if we want them to learn how to read, write and do math, then they need to feel emotionally safe and secure first! 20) It's About Readiness Levels - It is amazing to hear about more learning experiences that give every learner an entry point regardless of readiness level. Educators are now often talking about what a child can do and building on those strengths as opposed to focusing on the deficits. I think the more this becomes a norm, the closer we get to truly revolutionizing education! 21) Collaboration between all key stakeholders - Schools throughout the country are looking for opportunities to partner with the broader community to achieve greater levels of success. Whether partnering with parents or with a local business, these partnerships are creating new and amazing opportunities for schools and students. 22) Teacher efficacy - We know (thanks to John Hattie) that teacher efficacy has the greatest impact on student learning. This knowledge is leading more school districts to invest in recruiting the best candidates and then supporting those educators with various structures (professional learning opportunities, positive working conditions, PLCs, etc.) in order to retain them. We must continue to invest in our teachers because they are the key to successful student learning! 23) Solid instruction rooted in the latest research - Again, based on the exchanges I am seeing on social media and my own work experiences, I am noticing more educators and districts making decisions that are research based and reviewing the research before making decisions. Whether it is about homework or instructional techniques, more and more schools are seriously reflecting on what learning looks like and how it happens in meaningful ways based on what the research indicates. This one dovetails with #22 because its not programs or materials that influence the effectiveness of a school, it is the people and their practices! 24) Mitigating those who create fear, chaos & panic - We have all worked in organizations that include individuals who create fear, chaos and panic in those around them (I like to call it the "Sky Is Falling" effect). Often, those folks are working from a personal agenda that intentionally disrupts the trajectory of the organization. But this is changing too as more schools and districts are committing to a mission and vision anchored in a shared agenda/goals that mitigates those who foster fear and create chaos. 25) Vision - While many schools have committed to a mission statement (who they are today), I am learning about a growing number of schools and districts that have worked diligently to articulate a clear vision of who they want to be in the future and where they want to go. This vision is rooted in what is best for students and educators and that is incredibly inspiring. This vision is also actionable and conversations include regularly assessing the vision and revising it as the journey unfolds. 26) Vertical and horizontal alignment - When I was a student, I remember never feeling like one year or one class connected to the next; it was as if every educator was doing whatever they wanted. Fortunately, that seems to be changing as more educators are having discussions about the importance of vertical and horizontal alignment for students, educators and families. Alignment, which doesn't sacrifice autonomy, is a critical component to ensuring seamless learning experiences for students that build on each other! 27) No cookie cutter - More and more districts are moving away from boxed and scripted curriculum because they know those are not the best way to reach and engage all students! 28) Internships - As I have shifted to a district level position, I am excited to learn about the many schools and districts that embed “internships” into the learning experience for kids, especially in high school. I think this can have such a positive impact on our students because it gives them a sense of what they will experience when they enter the real world. It also allows students to explore a specific profession. 29) Public speaking opportunities - Whether this is in the form of an actual class or an after school club, there are so many schools that encourage public speaking experiences for students. This is such a powerful and meaningful way to learn how to frame & present an argument. This is also critical when considering student agency and self-advocacy! 30) Re-imagining homework - Many districts and schools are revisiting the homework conversation. The research is out there and more districts are considering it as they re-examine their homework beliefs. Whether schools are considering eliminating homework or trying to find ways to make it something kids are excited to do, the discussions are actually happening! 31) Identity - As mentioned earlier, educators are seriously reflecting on the importance of culture and relationships within our schools. I am watching more schools that are working on nurturing that positive culture in their buildings as a way to hook students. We know that culture shapes community and impacts the way people feel. So, if our students feel positively towards school, and feel invested in the culture, they will begin identifying with that community. That sense of identity leads to feeling connected & a sense of belonging, which are critical when we think about the high levels of depression and isolation our kids are experiencing today! 32) Sacred learning time - It is so wonderful to hear about more and more districts that are creating sacred time for professional learning opportunities for educators. From teachers to principals, districts are creating the time and space for everything from book studies (virtual and in-person) to Genius Hour for educators to pursue areas of interest. No matter what the format, the important point is that time for learning is being prioritized! 33) Classroom Redesign - It is so great to see the many images of flexible learning spaces that have flooded the internet over the last several years. Many schools are moving away from the traditional desks and rows (contrary to what Betsy Devos seems to think) and experimenting with classroom redesign as a way to increase levels of student engagement! 34) Feedback - More discussions are unfolding around the importance of feedback and the impact it could have on our trajectory. Schools are demystifying the negative stigma around feedback (it is not easy to give or receive it) and are recognizing it as critical to our growth and maximizing it as a way to inform blind spots. Feedback, when done thoughtfully, is helping us learn and grow! 35) Reframe problems as opportunities - This is so simple yet so hard because in our profession we are regularly dealing with problems, which leads to frustration and more challenges. Fortunately, our organizations are pausing and instead of seeing the problems as negative (and often personal) attacks, we are seeing these problems as an opportunity to learn, grow & improve. 36) Kids know what they are learning and why - YES, more educators are taking a moment to let students in on the big secret... "This is what we are learning today and this is why it matters to you." Our kids are taking ownership of the learning when we start each lesson with a quick explanation of why we are learning this specific strategy or skill and how it will impact the students! 37) Making room for downtime - more and more educators are openly talking about the challenges of finding balance between our personal and professional lives. This open dialogue is so important because we are inspiring each other with tips on how to manage it all while being successful in our work and still taking care of ourselves. This balance is also a critical thing to model for our students! 38) Making room for fun in school - yes, school is fun and educators are spreading the fun through blog posts, podcasts and live streams from their classrooms! Whether someone is sharing the Lego Wall in their library or the math game in their classroom, we are seeing how learning can be fun! So, even though there are policies and mandates we have to adhere to, we are making the school day fun for kids... and ourselves! 39) Making room for field trips - it is so great to hear about the wonderful field trips schools are taking (some virtual) because those learning experiences are a wonderful way to enhance classroom experiences! 40) Superintendents who don't just push paper - As a new superintendent (who still has so much to learn), I am hearing so much from my colleagues and mentors about the work they are doing to help support leaders, teachers and students. I have learned so much from the superintendents who have dedicated themselves to removing barriers so the educators and students have what they need for optimal learning! 41) Technology Doesn't Equate to Innovation - This conversation is happening more and more each day and I think it will be critical to the future of our schools. Innovation is about the way we think and view problems; it is not about an iPad or Chromebook. 42) J - There is JOY permeating many of our classrooms and schools! 43) O - There are meaningful learning OPPORTUNITIES unfolding for educators, students and their families! 44) Y - More and more districts and schools are embracing a culture of YES so we can continue to revolutionize the educational landscape! Conversations are going from, "Yes, but..." to "Yes, and... "
Is everything perfect in our schools? No. But are things moving in the right direction? Yes! Have we evolved as a profession? Yes! Thank you to the thousands of educators and schools and classrooms that have inspired this post - it is an honor and privilege to be an educator! So, what would you add to the list? My son, Paul, recently turned 13. Yes, I am the parent of a teenager and while I don't love getting older, I do love watching the young man my son has grown into over the last 13 years. One of the things that has always impressed me most about Paul is his ability to read and his love of books. Growing up I was quite the opposite. I only read the passages in our basal reader in elementary school and then in middle and high school I only read the books that were assigned to me for class. I rarely, if ever, read for pleasure. In fact, I recall talking about how much I hated reading because it always felt like a task, chore or just too much work. On the other hand, my son could literally spend hours after school or on a Saturday morning reading books. He loved reading picture books when he was little and then got hooked on different series including the My Weird School series, Magic Treehouse and then the Percy Jackson series. We literally had thousands of books in our house because he wanted to be prepared for his next book. As Paul's personal interests evolved, so did his book choices. When he got into Star Wars and Marvel, he wanted books with facts about the different characters. No matter what the interest, there was always an accompanying book, until things changed. Once Paul got into upper elementary school and then middle school, his interest in reading began to shift. Gone were the days where he wanted to read for hours and get lost in a book. Instead, he started to only read for school assignments and meeting the minimum expectations, either in the form of minutes or page numbers to complete a reading log, was the goal. Granted, he was a growing boy and other competing interests began to form - video games, sports and socializing with friends just to name a few. Reading took a backseat and unless it was for a school assignment, it was no longer a priority. 1) Model the power of reading for children so they can see it as an opportunity to get immersed in a whole new world. Reading can serve as an escape from everything else in the world and sometimes that is really necessary. As educators, we can model and share what reading means to us and how it allows us to get lost in a different world! To that end, as the educators (or adults or parents) we must make it a point to share our readerly life with kids; share what we are reading, what we have recently read and how that experience felt for us. 2) Share with students that reading is an experience not an assignment. Reading is truly an immersive experience that allows us to see life through a different lens or in a different setting or with meaningful information that informs our perspectives. Reading leaves an impression on us and changes the way we think. 3) Give students choice in what they are reading. The older Paul gets, the less his book choices are his and the more they are predetermined by his school. While I do understand the value of experiencing a shared text with classmates (book clubs, class novels, etc. ), there must also be sacred time for students to read books that are of interest to them. 4) Carve out time, every single day, for independent reading in class. Our students need to see that we value reading and that we specifically value their independent reading time to engage with texts of their choice. Richard Allington reminds us that one way to grow as a reader is by reading as much as possible! The more we read, the better we get as readers. 5) Reading books gives our students the windows and mirrors they need in the world! We need to be mindful of the books we integrate into our classroom libraries so our students can engage in texts that allow them to see themselves (the mirrors) or to see others (the windows). Literature can be a powerful way to build an understanding and appreciation for how others experience the world. 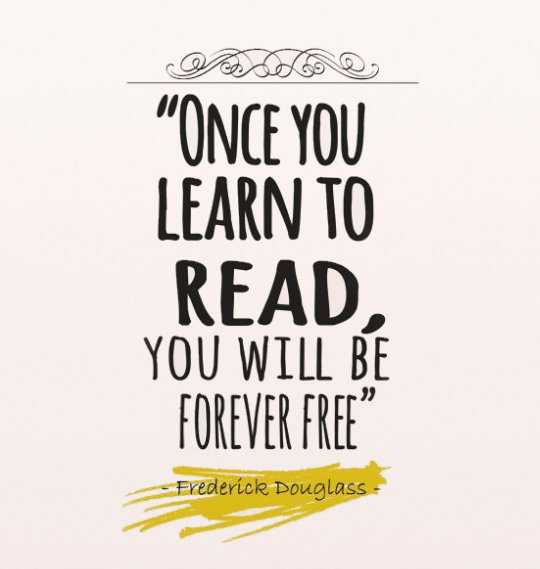 For this reason, it is incumbent upon us to ensure that our students have access to books that allow them to see the world through a different lens. 6) Reading is thinking and learning! I have been trained to understand that reading is basically synonymous with thinking. When we are immersed in a text, our minds are always working to process the text by making connections, making inferences and wondering about what might come next. This is the power of reading because it helps us grow our thinking muscles and thinking is what leads to learning and learning is what leads to innovation and that is what changes the world! 7) Share with students the joy of reading just for the purposes of feeling that joy! Reading could be a joyous (even if the contents of the book aren't necessarily joyful) event that doesn't always have an assignment or task associated with it. Let's model for kids that they can read just to read for the joy of it! 8) Make time for read alouds as a way to share a story and enjoy a break from all the other academics. No matter how old the students, a read aloud can be a wonderful way to engage with a text and expose students to different authors and genres. Yes, there could be discussions that unfold around the read aloud book but don't make it all about accountable talk or assessment; allow the read aloud to be a shared experience that helps us escape from everything else. 9) Read alouds don't just have to happen in school! Encourage families to engage in read alouds at home with their children. A shared story can be so powerful for a family to experience so let's encourage our students' families to keep reading aloud at home too! But remember, this shouldn't be about an assignment or a grade; instead, this should be about a joyful experience we encourage our students to share with the ones they love. 10) Incorporate book talks as a daily norm in your classroom or school. One of the best ways to hook a potential reader is by sharing the story of a book that you have recently read and the impact it had on you (or students can share with their peers). Just think about the power of a movie trailer - when all the right highlights are featured, the audience is hooked and cannot wait to see the movie. The same can be done with books! Create a time and space where individuals (adults and students) can share the books they are excited about and watch how the book talks raise the interest levels of other students and the books start flying off the shelves! 11) Leverage digital platforms as a way to share the reading journeys of our students. Maybe they can make a video book trailer or create a digital picture book version of their favorite chapter book. Whatever the platform, we should consider accessing digital platforms as a way to help our students amplify their readerly life! 12) Reading should be fun and when we make it fun for kids, we increase the likelihood that they will continue to read on their own time. Just think about it - when we experience something as fun or joyful, our brain responds positively and we are more apt to engage in that activity again and again. So, let's make reading fun for our kids so when they think about what they could do during their free time they don't just consider social media or video games but instead chose to read! 13) Reading is not a data point! I am tired of hearing about test scores where our children are lagging behind the children of other countries. I am also tired of hearing about how students are better readers in some states according to recent test scores. Well, what any good educator knows is that high test scores do not mean there are necessarily strong readers in those spaces; instead, often times, high test scores means we have prepared children to pass a test. But the truth is that none of these tests are actual reading tests. Reading is not a data point. Yes, some tests may assess reading skills (understanding unfamiliar vocabulary, determining the main idea or making an inference) but from my experiences they don't accurately assess reading. So, let's stop conflating reading with test scores and instead focus on what matters most - nurturing a readerly life in our students! Are you ready to join me on this journey to nurture a readerly life in our students? Over the last several years I have had the opportunity to travel the country and speak about everything from educational leadership to culture to the importance of telling your school/district story. The opportunity to work with teachers and administrators from around the country is consistently a source of inspiration for me because I learn so much from the many passionate, enthusiastic and dedicated educators I encounter. Invariably, the conversations always get personal as people share stories about everything from what inspired them to become an educator to what sustains them to do this important work on a daily basis. My personal experiences definitely impact who I am as an educator; my experiences as a father; my experiences as a son; my experiences as a sibling; and my experiences as a partner all affect the way I approach my daily work as an educator. This picture is generally the opening slide in my presentations so I can introduce the audience to my personal "tribe" - my son, Paul, and my partner, Felix - the people who sustain me on a daily basis. 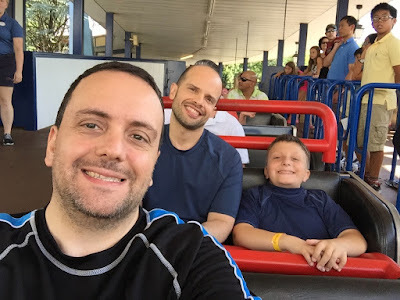 Paul and Felix impact the way I think and feel and when I am making decisions as an educator, my experiences as a father and partner certainly inform those decisions. Including this picture also served a very selfish purpose - I get to take my guys with me whenever I travel and I love talking about them for a couple of minutes. I never realized the impact this picture might have on my audience. About a year ago I was doing a keynote in the Midwest and after I finished my presentation several people came up to me to thank me for the experience, which is always incredibly humbling. While speaking with this small group, I noticed one gentleman standing to the side. Once I was alone, he stepped over to me and thanked me for including the picture of my family in the presentation. He shared that he rarely talked about his husband in professional contexts because he worried about how people would react because he always assumed he was the only one - the only gay educator in the room. He went on to share that while my presentation on digital leadership was great, it was the first workshop he attended where he knew he wasn't the only gay educator in the room and that changed the whole experience for him. He talked about how he felt comfortable and empowered because he wasn't the only one; and this connection allowed him to engage in the learning in a totally different way than he had ever engaged in the past. What this educator didn't understand was how much his story impacted me. While including a picture of Paul and Felix was more for me than it was for the audience or the presentation, on that day I came to understand the potential impact it could have on those around me. Sharing this picture, and its story, allowed me to connect on a personal level with my audience; sharing this picture served as a window for some members of the audience and a mirror for others; and sharing this picture was an opportunity to build relationships with people I may never have otherwise had a connection. I have presented a few times since then and have received DMs, emails and private FB messages from educators who had some connection to the LGBTQ community thanking me for incorporating my personal story as part of the presentation. These messages have inspired me on so many levels and remind me about the importance of relationships in education. You see, we could have the most robust math program or the most amazing Makerspace or the best professional development but if we don't have positive and healthy relationships with those around us, those "things" won't have a sustained impact on learning in our classrooms, schools or districts. It all comes back to relationships - relationships between teachers and students; relationships between educators; relationships between teachers and administrators; relationships between the community and staff; relationships between students and administrators; and relationships between students. The research is there - see John Hattie's meta analysis - relationships impact learning and achievement in effective learning organizations. No matter what happens we can never lose sight of the fact that education is personal!